From the first call to the final inspection, all of Dobbs employees have been totally professional. When our system needed replacement, they conducted a thorough review of our requirements, and provided three options over a range of pricing to meet our needs. Installation was professionally done, on time, and exactly as discussed. We highly recommend the Dobbs team. I certainly am impressed with Scott's visit to my home. He always is very polite and explains everything that he is doing. He makes the visit enjoyable, for sure. where customer service still means something !!!! I contacted Dobbs to go an inspection of my HVAC systems as I had not had one done in a very long time. Their Technician Scott came to my home and it wasn't long before I just got a very comforting feeling that this guy knew his stuff and more importantly, was a decent honest man. he spent an amazing amount of time with the inspection , pointing out concerns I needed to be aware of and providing recommendations and showing me how to keep things properly maintained going forward. he answered all my questions and explained things in a manner I could understand, not just a bunch of technical gobbledy gook. This man treated me in a way he would want someone to treat his own family. I found him to be very knowledgeable, professional and a very engaging, personable gentleman. He resolved the immediate issues and provided recommendations for consideration for longer term. I could not have been more happy with the level of service and professionalism. From the front office (Miss Madison) to the technician on the job (Scott), this is a class operation! they don't just talk customer service, they put it into action by the way they conduct themselves and their business. I would absolutely use them again and highly recommend them to others. Wonderful team at Dobbs! Everyone is so professional and knowledgeable. They have taken care of us for years, and we will continue with them for years to come. 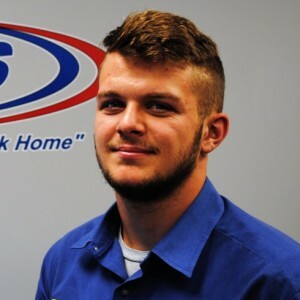 Brad N. Is an exceptional knowledgeable technician. If you want GREAT Service From call to installation. CALL DOBBS!! Been about two years ago since Dobbs had installed our heating and air system. We have never had any trouble with the equipment. Our old system was here in the model when we bought it 24 years ago. It was tired. The air conditioner works so well compared to the old one, my Bride calls it the Frostbite 6000. They recently came out for their annual check and everything was, the tech was especially nice. His name was Chris, was knowledgeable, courteous and very friendly. 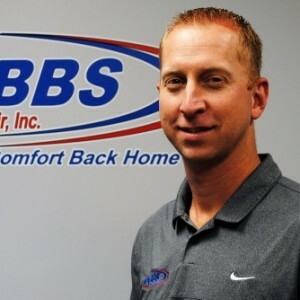 I have not hesitated to recommend Dobbs to any of our friends and family. They are the one company you do not to forget when trouble strikes. Outstanding, Outstanding! I am very pleased from start to finish; from Tracy's call to set up the intro consultation appointment, the punctual arrival of Manager, Keith Dobbs who went over all my concerns and addressed my home's needs as I wanted to convert from my old hot water tank to a new Rinnai tankless water heater. I discovered that in my research of the tankless water heaters that what I thought I would like wasn't cost saving nor suitable for my homes needs, thanks to Keith's professional advice and years of experience. He knew exactly what I needed, was very thorough about what would be done and how it would be done and was very efficient. He gave me a reasonable quote, and went over the details of what it covered. In a couple of days their team technician Brad and Keith were over to install the tankless. I can't say enough about Brads work he is definitely a keeper for any company. He is very thorough, very efficient, takes the time to answer any questions you may have, and makes sure his check list is completed properly. Great job!! I use Dobbs all the time and they are always on time and very friendly. I can count on them and they are honest. I recommend them all the time! Madison and Tracey were so kind and patient with me as I asked all of my questions about installing a new furnace. I was given a fantastic quote, and Brad did a great job of installing the furnace. The day after the installation, I was contacted to make sure everything was working properly or if they could help me in any way. Fantastic customer service—thank you!! Great company. Prompt. Reliable, friendly, always do a great job. Been a customer for 7 years and will continue for many more. Always friendly, courteous, and knowledgeable. I appreciate their prompt arrival or phone call if there is a delay. Dobb's satisfied a next day service request for my HVAC. Madison afforded great customer service when scheduling a convenient service appointment. Upon Chris arriving to my home he greeted me in a polite and professional manner, explained what he'd be inspecting, shared various updates during his inspection and concluded by thoroughly explaining his findings. 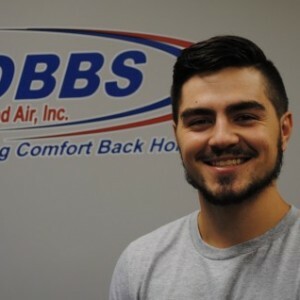 Dobb's offered a reasonable price point and while I definitely don't want any further HVAC issues to surface, I'll definitely call Dobb's to provide service again. Always on time. Good follow up. Very clean work.